After Freddie Mercury died in November 1991, the remaining members of Queen staged a charity concert at Wembley Stadium in London with several pop and rock icons taking the place of Freddie and performing his vocals. After the concert, the EP 'Five live' was released to further benefit the Mercury Phoenix Trust. From this EP, only 'Somebody to love' and 'These are the days of our live' were performed during the tribute concert. The other three live tracks were recorded during George Michael's 'Cover to cover tour' from 1991. 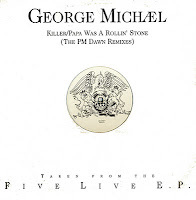 The medley of 'Killer' and 'Papa was a rollin' stone' was one of them, and it was remixed by PM Dawn for this 12" single. 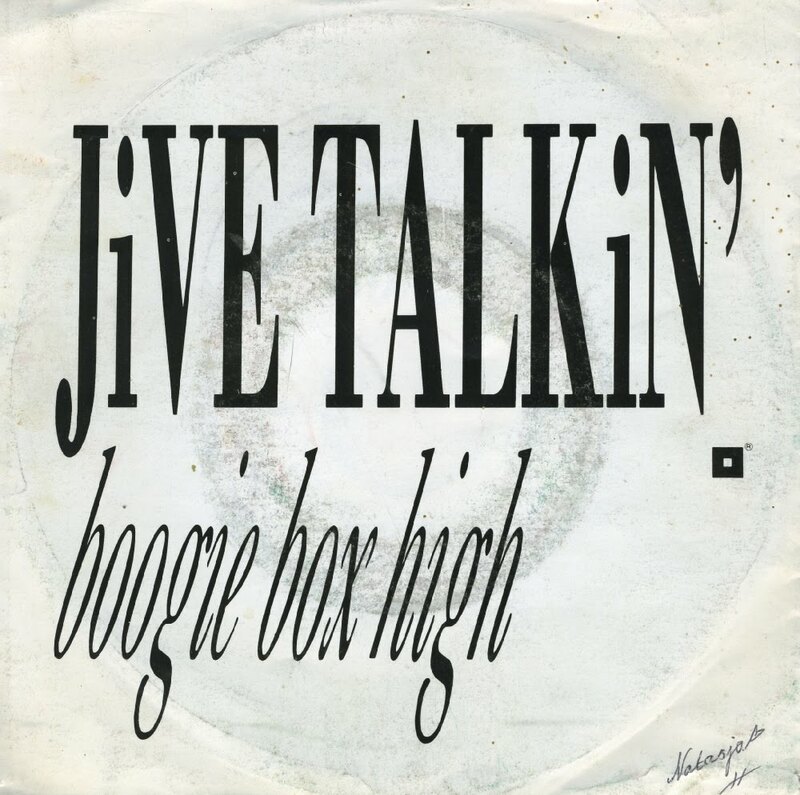 Boogie Box High were a musical project headed by Andros Georgiou in the late Eighties that featured a range of musical collaborations such as his cousin George Michael, guitarist Nick Heyward (of Haircut 100), keyboardist Mick Talbot (of Style Council), guitarist–songwriter David Austin, bassist Deon Estus and others. 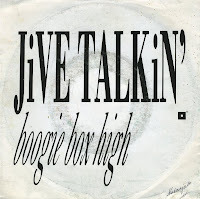 Released in 1987, Boogie Box High's first single 'Jive talkin'' quickly reached number one in several countries. Part of this success was caused by the involvement of George Michael, who sang lead and backing vocals on the track. Due to contractual obligations to Epic Records, George was never credited on the original release, although fans quickly recognized his voice, making the song an instant hit. 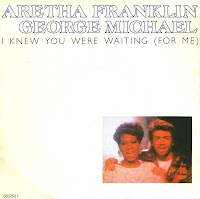 To say that two legendary artists recorded 'I knew you were waiting (for me)' in 1986 would be a little far-fetched, but I bet that's how this single will be perceived in a few decades from now. Aretha Franklin is often called the queen of soul, whereas George Michael was still working on his status as a songwriter and performer - but nowadays he can be considered quite the legend himself. The single was a number 1 hit for the duo in the UK, the USA, the Netherlands and Australia. In Canada, 'I knew you were waiting (for me)' reached number 4. I bought the 12" single four years after I found this single. 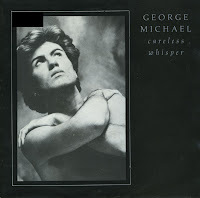 I bought 'Careless whisper' when it came out, then went through two decades without ever playing this single. It became a number one hit in the summer of 1984, and appeared on television and radio so often, that I got very sick of this song. Nowadays, I can listen to it again, and that's quite nice, because it is actually a very good song. 'Careless whisper' reached number 1 all over Europe, including the UK and the Netherlands, and also topped the US Billboard Hot 100 chart. Although the band Wham! 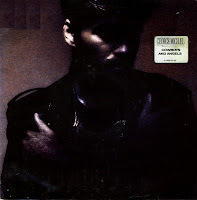 still existed when this single was released, this is the single that effectively launched George Michael's solo career. 'Fastlove' was the second single from George Michael's 1996 album 'Older'. The track contained a re-sung but otherwise identical chorus of the Patrice Rushen hit 'Forget me nots'. The track was an energetic tune about the need for gratification and fulfillment without concern for commitment. The single reached number 14 in the Dutch Top 40 and number 1 on the UK singles chart. This 7" single was made in the USA, the only country where a 7" single was even released. 'Fastlove' reached number 8 in the US Billboard Hot 100. 'Jesus to a child' was the first single release from George Michael's 1996 album 'Older'. The song was a melancholy tribute to Michael's Brazilian friend and lover Anselmo Feleppa, whom he met when performing in Rio de Janeiro in 1991. Feleppa died two years later from an AIDS-related brain haemorrhage. Michael had been unable to write for the next 18 months as a consequence of his grief, but then penned the words to 'Jesus to a child' in little more than an hour, indicating that the time was right to move on with his life. Michael consistently dedicates the song to Feleppa before performing it live. The single reached number 1 in the UK and number 3 in the Dutch Top 40. As far as I know, this American pressing of the 7", without a picture sleeve, was the only 7" single release of 'Jesus to a child'. 'Too funky' was George Michael's final single for Sony Music before he started legal action against his record company to be freed from his contract. Although the track was intended for his album 'Listen without prejudice vol. 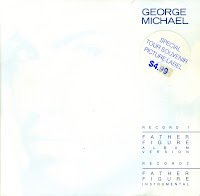 2', George shelved that idea and donated this song along with two others for the project 'Red Hot & Dance', an album to raise money for AIDS awareness. Lyrically, the song was a basic, animalistic plea from George Michael for sexual activity with an individual. The track featured a sound clip from the movie 'The graduate': Anne Bancroft's line of 'Would you like me to seduce you? Is that what you're trying to tell me?'. The single reached number 4 in the UK singles chart and number 3 in the Dutch Top 40. After the death of Freddie Mercury, the remaining members organised a concert featuring the songs of Queen, performed by them and various guest vocalists. Arguably the best of them was George Michael. 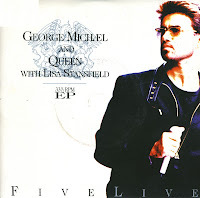 His performance of 'Somebody to love' and 'These are the days of our lives' (the latter together with Lisa Stansfield), augmented with some other live tracks from other performances were put together on the 'Five Live' mini album. This EP represent four of the five tracks. The EP reached number 1 in the UK singles chart and number 5 in the Dutch Top 40. 'Don't let the sun go down on me' was originally a hit for Elton John in 1974. The single peaked at number 16 in the UK singles chart. However, it was this live version, performed together with George Michael, that made the song even more popular. 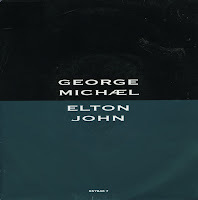 The track was recorded live at a concert in Wembley Arena on March 25, 1991, where Elton appeared as a surprise guest star of George Michael, the duet became a massive hit. It reached number 1 in the USA, the UK and the Netherlands. The proceeds from the single were divided among 10 different charities for children, AIDS and education. 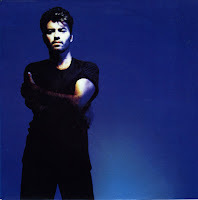 'Heal the pain' was the fourth single taken from George Michael's 1991 album 'Listen without prejudice vol. 1'. The guitar-based love song was a moderate success, reaching number 31 in the UK singles chart and number 16 in the Dutch Top 40. In the USA, the sides were flipped and 'Soul free' was released as the A-side. That single did not chart. 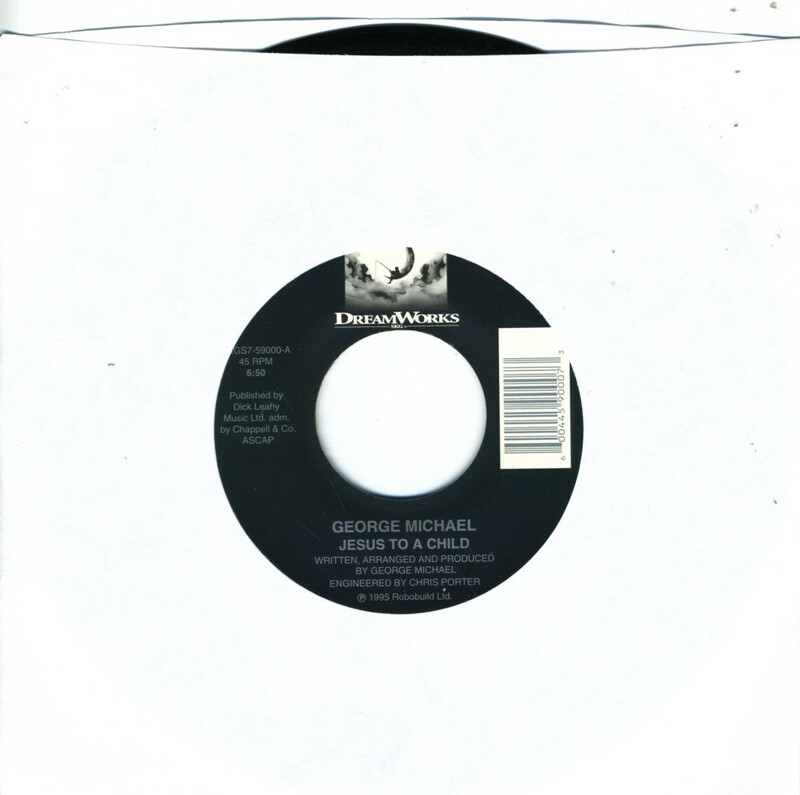 'Cowboys and angels' was released as the fifth single from George Michael's 1990 album 'Listen without prejudice vol. 1'. 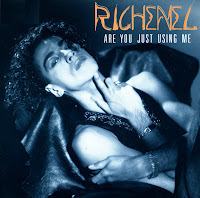 The song was written, arranged and produced by George Michael and was the first single in his career not to reach the top 40 in the UK: it peaked at number 45 in March 1991. It did better in the Dutch Top 40, reaching number 15. Although the album version of 'Cowboys and angels' is over 7 minutes long, the single version was edited to four and a half minutes, amongst other things removing the beautiful piano intro from the track. A long time before I bought the UK edition of the single 'Freedom' by George Michael, I bought the European one. It had a different B-side, the one that was used as the B-side of 'Waiting for that day' in the UK. The front sleeve was the same, however, which may have been confusing to some. This single reached number 8 in the Dutch Top 40, which was 20 places higher than the UK. I wonder if the B-side helped it do so well? George Michael wrote the song 'Freedom '90' almost as a small autobiography. It described his fame and fortune in the early days with Wham!. The song was initially perceived to be describing Michael's effort to break free from his publishing contract with Sony Music. However, as Michael's sexuality came to light a few years later, the song became equally recognized as a one that describes the struggles of being a homosexual in the closet. The ''90' added to the end of the title is to prevent confusion with a Wham! song also titled 'Freedom'. While still refusing to appear in music videos, a music video was directed by David Fincher, featuring a number of supermodels, including Naomi Campbell, Linda Evangelista, Christy Turlington and Cindy Crawford, who mouthed the words. It also featured the destruction of various symbols of Michael's past, including the famous guitar, jukebox, and leather jacket of the 'Faith' era. The single was rewarded with a number 1 in Japan, peaking at number 28 in the UK singles chart and number 8 in the Dutch Top 40. 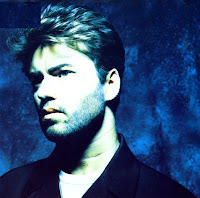 'Waiting for that day' was a track from George Michael's 1990 album 'Listen without prejudice'. Although Michael wrote the song, the chords and rhythm are very similar to Rolling Stones' 'You can't always get what you want'. George Michael actually sings this title near the end of the song. A co-writer credit was given to Mick Jagger and Keith Richards. The track was released as the second single from the album in the USA, the UK, Ireland and Australia, but it was not released in Europe. The single peaked at number 27, 23, 11 and 50 respectively. 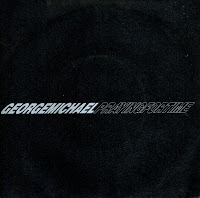 'Praying for time', released in August 1990, was George Michael's first single in almost two years. The song was a dark and sombre reflection on social ills and injustice. George used an echoey vocal effect and put the melody in a low enough key to take away the sunny nature of his regular singing voice. 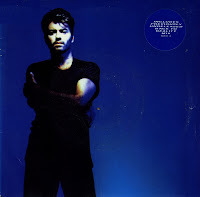 While George Michael refused to appear in videos to support the album, a music video was released featuring only the words of the song with a blue and black background that, at the end of the clip, reveals itself to be the image on the cover of the album 'Listen without prejudice', from which the song was taken. The single reached number 6 in the UK, number 10 in the Netherlands and number 1 in the USA. 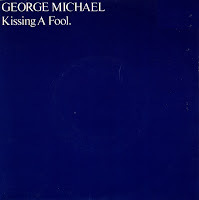 'Kissing a fool' was written by George Michael about his insecurities as a soulmate and partner because of the baggage and reputation with which he came. The song was released as the sixth and final single from his debut album 'Faith'. It was also the least successful, reaching number 18 in the UK singles chart and becoming the first single in five not to make number 1 on the US Billboard Hot 100, but number 5. In the Netherlands, the single went to number 13. 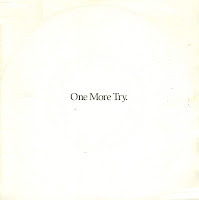 'One more try' was written by George Michael to express his unwillingness to return to a new relationship because he had been emotionally hurt so many times previously. The song concludes with temptation taking over, and Michael ends by singing the title of the song for the only time. 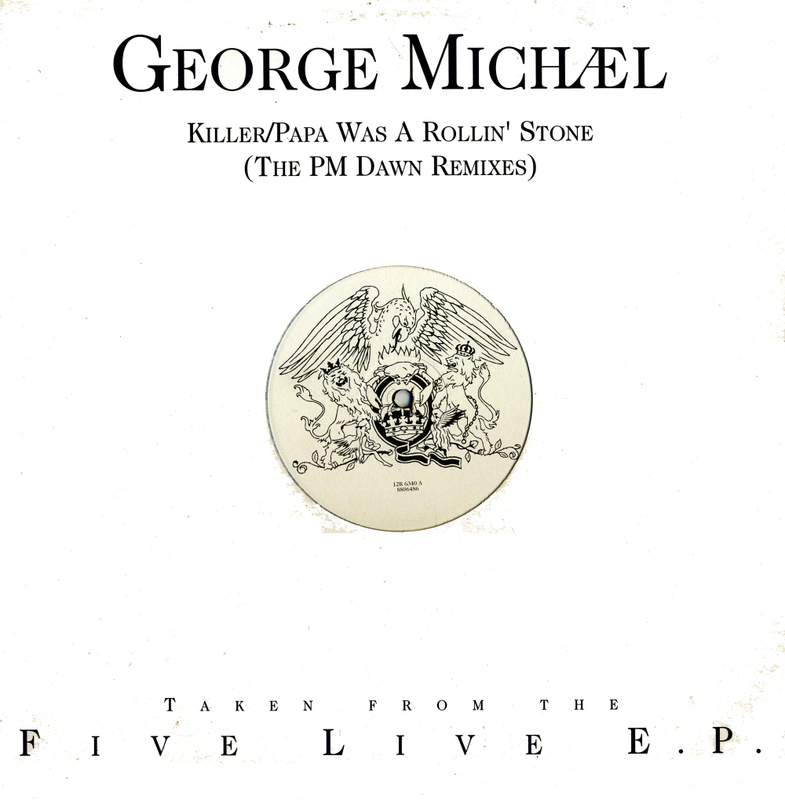 The song was released as the fourth single from George Michael's debut album 'Faith'. Despite the fact that the song clocks in at almost six minutes, it was still a hit in several countries. It peaked at number 1 in the US Billboard Hot 100, number 4 in the Dutch Top 40 and number 8 in the UK singles chart. 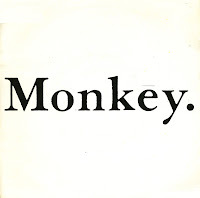 Released in the summer of 1988, 'Monkey' was the fifth single taken from George Michael's debut solo album 'Faith'. The single version was remixed by Jimmy Jam and Terry Lewis, who at the time were very successful with Janet Jackson's 'Control' album and its singles. Compared to the album version, the track sounded a lot livelier and 'fuller'. 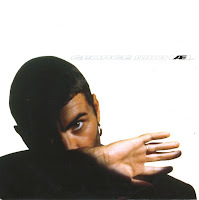 In the US, this single was George Michael's fourth consecutive number 1 hit, joining the likes of Michael Jackson and Whitney Houston as three artists that all had four or more number one hits from one album. In the UK, the single was less successful, peaking at number 13, whereas in the Netherlands it reached number 6. At the time of release, I only bought the cd-single, but in 1995 I corrected this painful mistake and still got the 7" single. 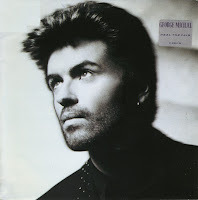 'Father figure' was the third single from George Michael's debut album 'Faith'. Originally recorded as an uptempo dance track, whilst checking his mix of the song, Michael inadvertently turned off the snare track and realized he liked the song better without it. The single reached number 2 on the Dutch Top 40, number 11 on the UK singles chart number 1 on the US Billboard Hot 100 chart. This limited edition double single was made in Australia and released as a tour souvenir.